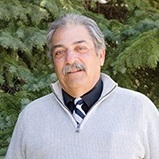 Michael Bordonaro has been servicing clients as a Registered Representative of The Legend Group since 1984. Prior to joining the Legend Group, he was a Certified Secondary Education History Instructor. In 2017 Michael will be celebrating his 35th Wedding Anniversary with his Chief of Staff & soul mate, Claudia Ann. Also, his 45th year anniversary as a Master Level U.S.A. Track & Field Official.